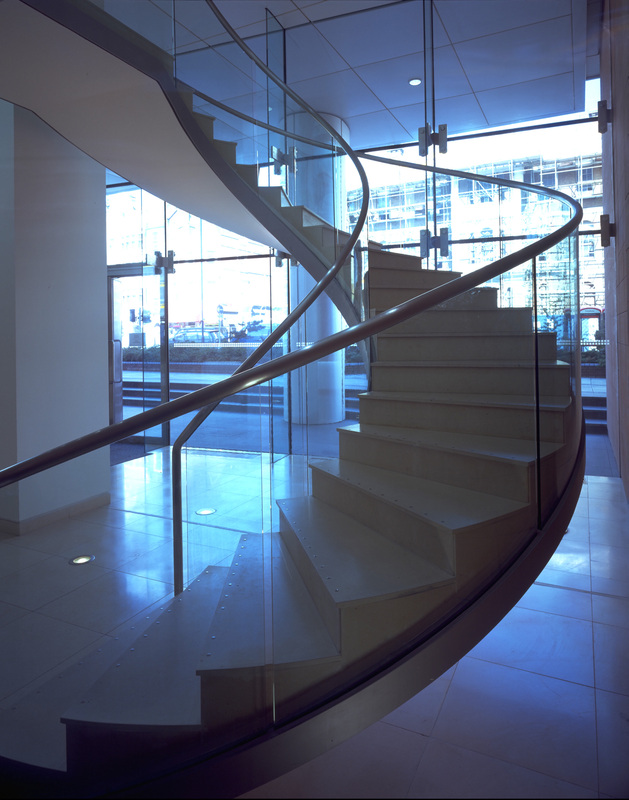 This stunning stair can be found in the foyer of L’Oreal Hammersmith headquarters, it is a classic helical stair and the first Spiral design to feature a plaster soffit, this crates the rather elegant effect of a twisting ribbon under the stair. The structure is supported on two steel stringers that run on the inside helix, the outer stringer is in the fact only there to support the glass panelling. 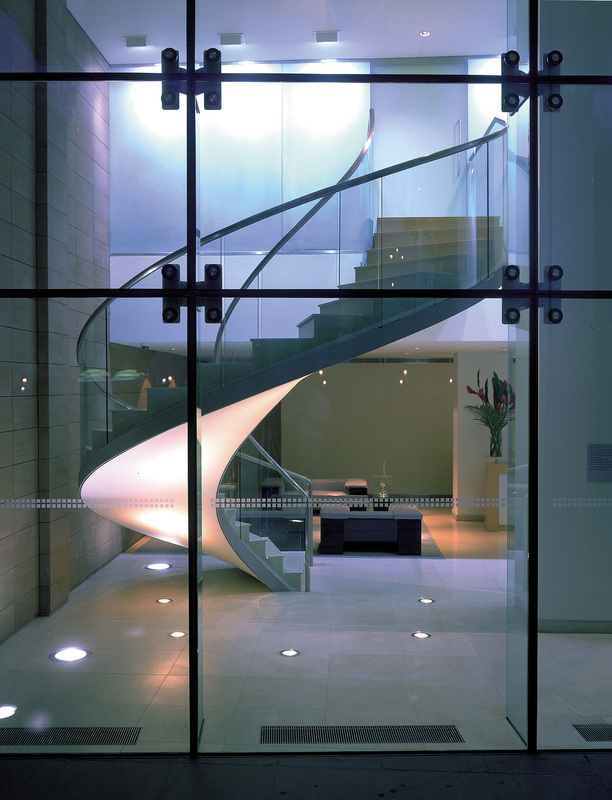 The panelling on the inside required considerable expertise to make and fit because of the tight radius it has to follow, you won’t find many stairs with curved glass like this in them. 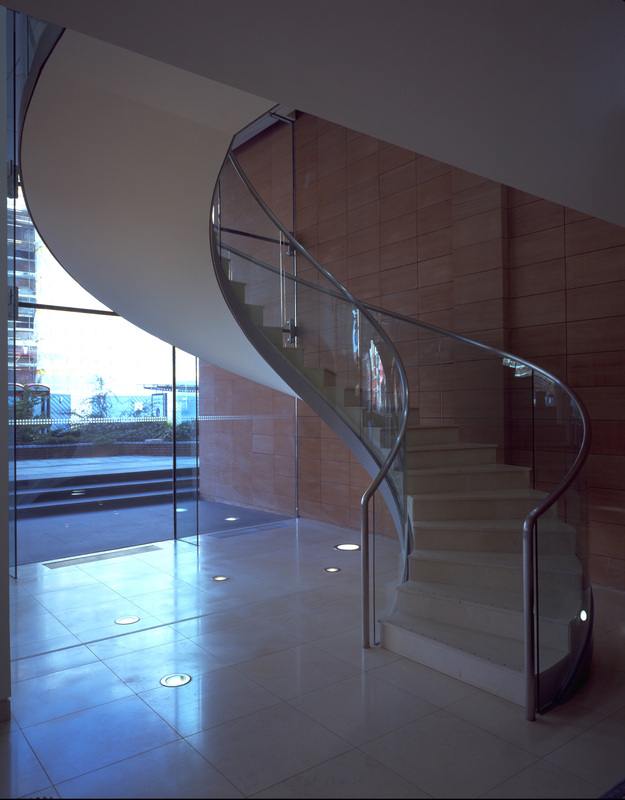 The stair is enhanced further by the use of stone treads and rises.